In order to valid distribution of the incoming vapor and liquid, inlet diffuser is used in chemical reactors. 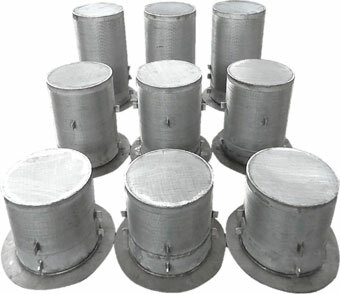 INTRA Inlet and Outlet baskets are designed to meet open area, design temperature, catalyst load and differential pressure specifications. Moreover, optimum fluid flow distribution in the bottom of the catalyst beds is attainable by outlet collector. In order to achieve optimum catalyst utilization and prevent escape of the catalyst this device is an option also has exceptional resistance to collapsing or buckling even under extreme loads and high temperatures.